Since the introduction of open reduction and internal fixation the management of facial fractures has changed dramatically. However many uncertainties remain and the importance of the time from injury treatment is one area of dispute. The aim of this review was to examine the effects of treatment delay on outcomes in the management of facial fractures. A search was conducted in PubMed for English language articles published since 1979. All study designs with data relevant to the effects of timing of treatment on outcomes of any type; in the treatment of fractures of the facial skeleton in humans by widely accepted treatment methods were considered. Risk of bias assessment was not undertaken. 30 studies were identified, 1 systematic review, 1 RCT and 28 case series. 3 studies found a conflicted relationship between treatment delay and treatment outcome. With the current body of evidence, definitive conclusions cannot be drawn on the timing of treatment for facial fractures. 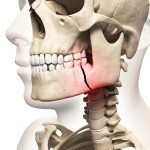 there is presently no strong evidence for either acute or delayed treatment of mandibular fractures in order to minimize healing complications; new studies including a substantial number of cases treated on an acute basis are very much needed. Hermund NU, Hillerup S, Kofod T, Schwartz O, Andreasen JO. Effect of early or delayed treatment upon healing of mandibular fractures: a systematic literature review. Dent Traumatol. 2008 Feb;24(1):22-6. doi: 10.1111/j.1600-9657.2006.00499.x. Review. PubMed PMID: 18173660.